Well this is my first dive into the arcade landscape. I have found that I am obsessed with Sega Naomi Upright style cabinets. I have been on an endless hunt to add more to my collection. 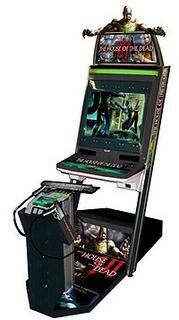 I currently have a Naomi Upright Universal configured for two player games, and an 18 Wheeler driving cabinet. I've been on the hunt to complete my collection with a Naomi Upright Shooting cab. Confidential Mission, Ghost Squad Evo, Clay Shooting, Lupin the Shooting, House of Dead, Maze of Kings, Virtua Cop 3, etc are high on my list of things to find. I'll eventually need to round out my driving cab collection too! 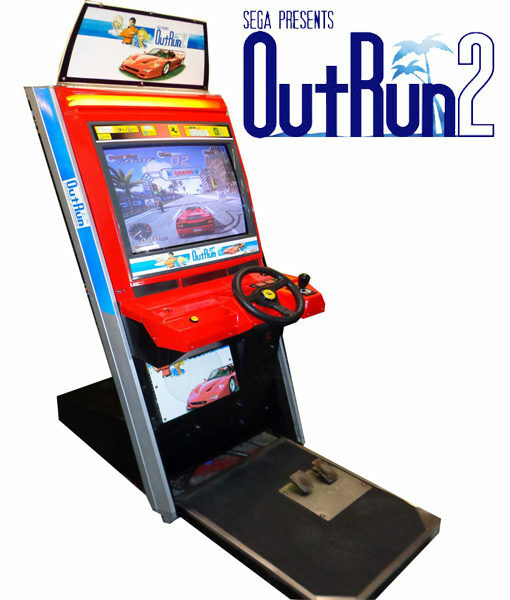 Crazi Taxi, OutRun2, Club Kart Prize, Jambo Safari, GTI Club 2, etc are all on my list at some point! The good thing with Naomi driving cabs is that once you have one, you can use it for all games, no need for multiple cabs. I remember that Zitoun was selling a HOTD 3 cabinet. Maybe he still has it. I am based in Ohio in the USA. I spent the evening messing with the Control Panel inside, I have a steering mech for a Crazy Taxi here. The belt drive is a bit like a "Sunday drive" for some of the racing games. Drifting was odd on Maximum Tune for example! I've been keeping my notes in a different forum if anyone is interested, I am happy to continue it here as well!